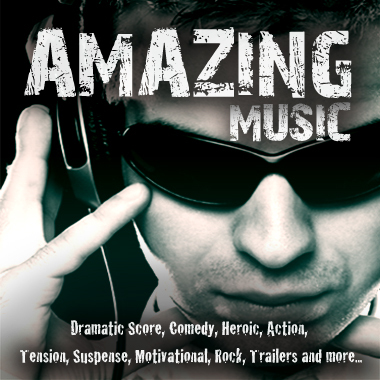 Amazing Music is a premier music collective from California generating hit after hit via the songs of many artists, singers, songwriters, bands, and composers. Their high quality composer catalogs online here present a brilliantly diverse set of styles and genres - Drama, Action, Rock, Quirky, Acoustic, Epic, Sci Fi - perfect for all new media, film, and TV. Placements include Disney's PROM soundtrack, True Blood, The Borgias trailers, M. Night's The Happening, The Princess and the Frog, Courtney & Khloe Take Miami, All My Children, One Tree Hill, Brotherhood, ESPN, and more.